1. Warm about 150ml milk in a pan and slowly stir in the chocolate. Stir until all the chocolate has melted into the milk. 2. Whisk in the remaining milk and the cream to thicken up the mixture. 3. Continue heating on the stove until the mixture is hot, (not boiling), and then add the cinnamon and a pinch of salt. 4. 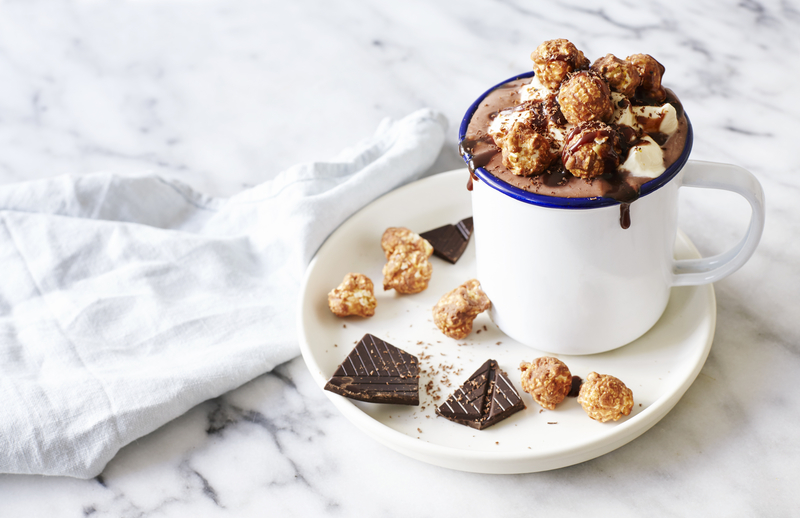 Pour into 2 mugs and top with whipped cream, Joe & Seph’s Chilli Chocolate Caramel Popcorn and drizzle with Joe & Seph’s Chocolate Caramel Sauce. Heaven!